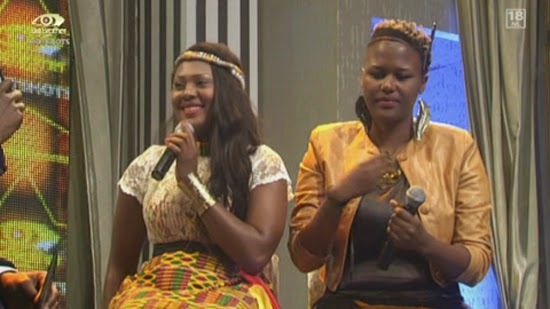 The top eight were about to start dwindling as IK received the names of the first six housemates to be evicted. He played his usual game, wracking nerves as he made them all stand and made things even more tense by reading out everyone's names. Once they were all standing, he announced the first pair evicted for the night: M'am Bea and Butterphly. Before chatting to them, South Africa's Unathi gave a smashing performance on the Big Brother Africa stage, keeping the evening hot and happening. It was then time for IK to interview the first evictees. M'am Bea said she was grateful for the experience and Butterphly was on the verge of tears, because she was feeling emotional at the amazing moment. They then got a chance to watch some of their highlights in the house. Being naturally shy, Butterphly was happy at having come out of her shell. Motherly M'am Bea cited her own mother as a source of inspiration, which is why she often took on this role with friends. JJ and Sipe were next to be evicted. IK chat to them and they walked in draped in flags, all smiles but visibly deflate. JJ and Sipe said that it has been amazing and awesome. JJ laughed at his fun antics with the Three Suckers. He discussed the fun "bromance" that went on in the last week. Sipe was downbeat and a bit sad to leave, maybe she was a bit overwhelmed, she feels honoured to have won two StarMeters in a row. JJ enjoyed his lookback video. Sipe shyly looked on to her highlights. 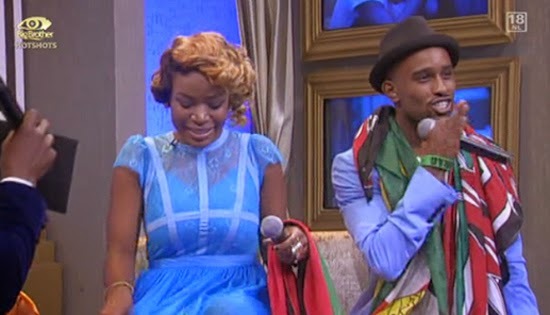 Nhlanhla and Macky2 then become the latest eviction victims after being booted out of the show this evening. 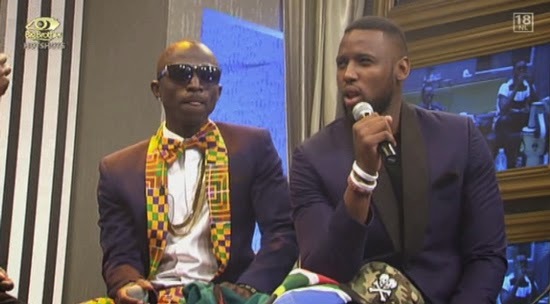 The pair's eviction spelt an end to Zambia and South Africa's chance to land the much awaited grand prize of Big Brother Hotshots. This left Tayo and Idris still in the race to take home the USD300,000. Kwaaaa, where is NIGERIA the NOISEMAKERS, INSULTERS like their STUPID REP. Said IDRIS will take it and they insulted us. Congratulations Idris.......well deserved.......you are a good boy.......listening to your Mother helped you. Respect goes a long way. The suckers never hated on anyone, u nigerian were the haters. These boys entertained us and Tayo insulted other housemates and u defended him. you dont have to insult nigeria if you ave problem with tayo face him.beside it is not only tazanians that voted for him. Idris didn't deserve d win nd to me he's so nt d winner. Hahahahaha! as much as am a Nigerian, I am very proud and happy for idris. tayo God want to teach u how to be humble with this experience , go home and change .u smelt d money but didn't touch it.